CORE healthy eating advice meets your personal requirements, with any dietary question answered. CORE can advise on: dietary changes to feel healthier and energised; a balanced diet; portion size; making sound food choices; practical food and meal ideas; dietary myths, IBS and food allergy. CORE healthy eating sessions can be group based or 1-1. This in-depth service is unique due to the high-level qualification and experience of Dr Claire Tuck, the only Registered Nutritionist in North Wales. Over six years of nutrition training and over twenty years of experience brings you the best: an up to date, high-quality nutrition service based on research and experience. Consultations can include a food diary analysis and detailed report; this consultation costs £50 (one hour consultation). Consultations without a food diary analysis cost £35. Please contact us to book a nutrition consultation. CORE can help you control your weight, whether you want to lose or gain weight. The focus is on enabling you to make changes that you decide upon, with specialist advice and assistance. Research has shown that specialised advice and the client being in control achieves the best results: maintaining weight change in the long term. So this is the protocol: we meet, talk about past weight experiences and problems, focus on how to overcome these problems, look at current weight goals, and start on the path to weight change. The sessions are individualised to meet your needs, so we may cover a range of nutrition and exercise areas, depending on the identified problems and your specific needs (such as lack of motivation, poor eating habits (often due to past dieting), eating due to stress/boredom/loneliness/habit, learning how to cope with stress), and develop the best eating plan for you, making small changes. We focus on enabling you to enjoy life and food, not to be controlled by what you eat. Corporate weight-loss courses can be run in the workplace. Please contact CORE to discuss your requirements. Claire helped me take control of my weight. I learnt so much and now understand why dieting had failed for me! Being able to talk to a friendly, qualified Nutritionist about food, exercise and the weight loss problems I faced made all the difference to me. Brilliant. I wish I had done this years ago, I feel so much better, I’ve lost weight and I am happy. I found that I had just been doing the wrong things before. I was too hard on myself – making food and exercise changes that didn’t really work for me. Now I enjoy my food and I feel more in control. I feel pretty proud of myself! And I’ve lost weight and kept it off! The above guide shows the research-based balance of milk and food from different food groups that a 9 to 12 month old infant needs for good health. Claire Tuck, PhD., Registered Nutritionist, has produced the first UK book on infant feeding giving in-depth research based guidance to health professionals (Complementary feeding: a research-based guide). This up to date guide for health professionals covers infant feeding from 6 to 12 months. The following areas are covered in depth: when and how to introduce solids; the dietary requirements of infants and how they can be met, plus food groups and portion size. ‘Complementary feeding: a research-based guide’ is published by Radcliffe and is CPD certified. This book is a valuable research and practice tool for all health professionals involved in infant feeding. ‘Complementary feeding: a research-based guide’ is published by Radcliffe and is CPD certified. This book is a valuable research and practice tool for all health professionals. 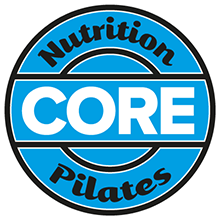 CORE offers workshops and talks on many areas of nutrition, including all areas of sports nutrition, healthy eating, weight control, infant nutrition, plus nutrition for Multiple Sclerosis. Previous talks and workshops include: healthy eating with primary school children; food groups and food labelling with young people with special needs; fresh foods cookery workshop for adults with special needs; eating for sports performance with young footballers; feeding infants for young mums, infant feeding for health visitors; bottle and breast feeding for student midwives, and healthy eating for Multiple Sclerosis for the Conwy Multiple Sclerosis branch.